Once snow conditions allow, the Ney Nature Center will begin renting snowshoes and cross country skis from the Education Building between 12pm and 4pm on weekends and 10am to 4pm on weekdays. Equipment is available on a first come, first served basis. Equipment sizing will fit most users ages 7 and older. The park is open daily. Ski trails are groomed by volunteers from the local snowmobile association within a day or two of snowfalls, and the sledding hill is also popular! We will post updates below when ski trails have been groomed and when rentals are available. 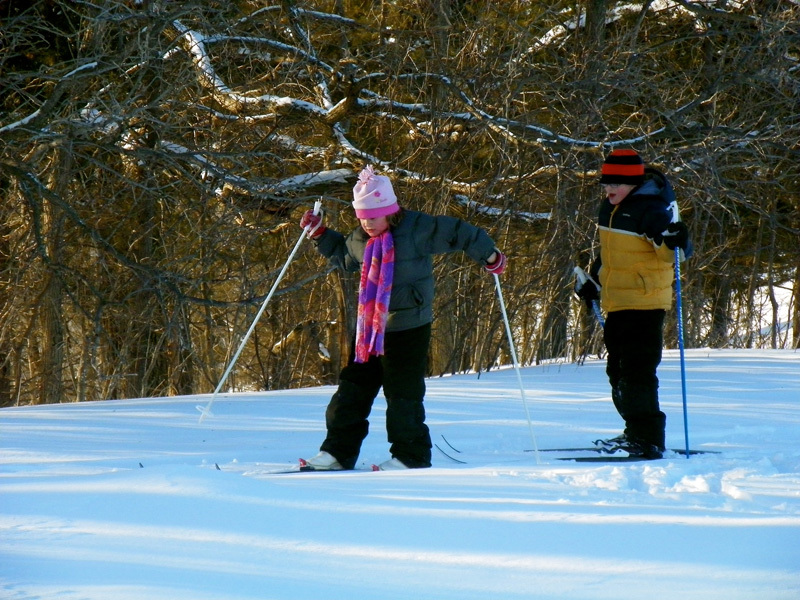 Once ski grooming begins, snowshoeing/hiking and cross-country skiing take place on two different trail systems. Click here to view the Winter Trail Map. 3.18.19 – Winter equipment rentals (including cross-country skis and snowshoes) are CLOSED. The ski trails are deteriorating and are in POOR condition.